The trilogy went public in 2008 when I anesthetized myself and four farm animals for a performance titled Petting Zoo. 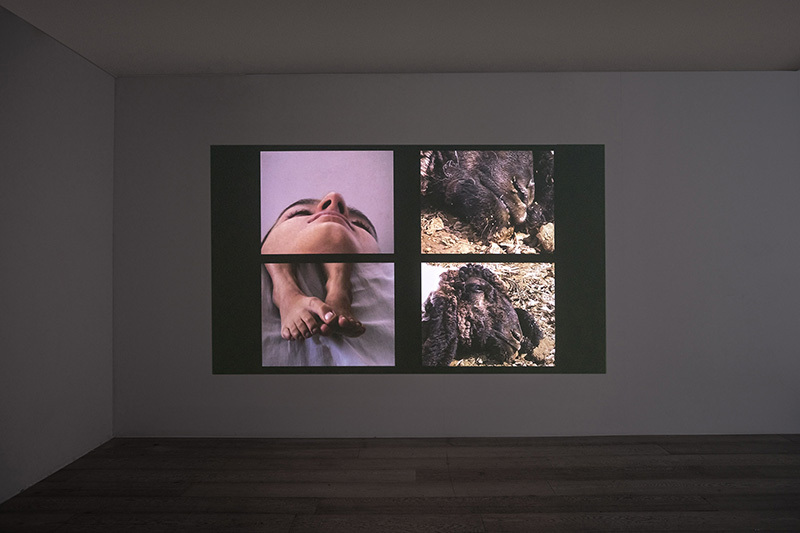 The anesthetization of myself and four farm animals, goats, sheep and a donkey was video-recorded to be projected in the final performance space, in which I lay inert and insensible to the world while the animals were free to wander the shed. We were all open to the touch of the onlooker. 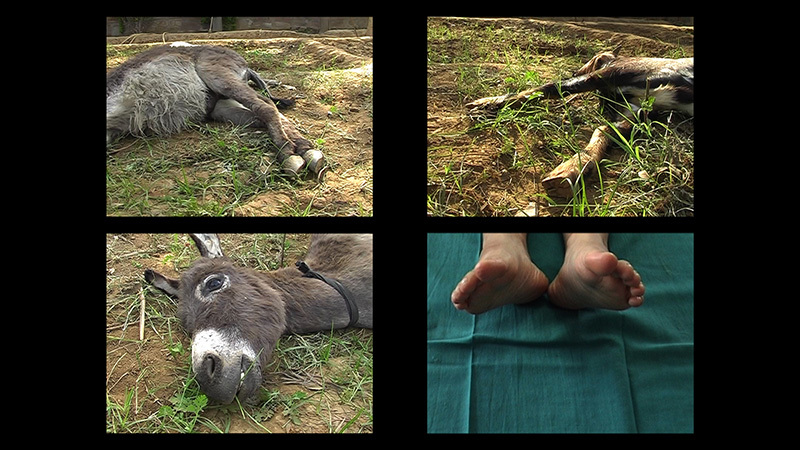 In Petting Zoo, I wanted to perform absence knowing that the history of performance is about presence and process. The footage has been made into a film, Minds to Lose. Using a single screen with multiple divisions, Minds to Lose creates a forced familial commonality between human and animal as they submit to the loss of consciousness and become unaware of even one’s mortality. 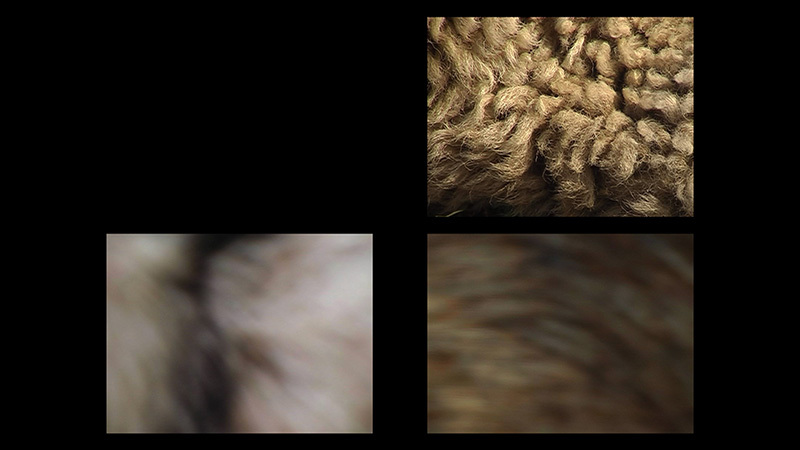 The film weighs the categories of human and animal, all of whom enjoy a temporary respite from human interference. The sound overlays in-synch field recordings with sonic emissions created via simple DIY instruments which use her own body as a resister for the electrical current. Minds to Lose is the first work in a trilogy on reticence, absenting, withdrawing, and disengaging. The other two are Leaf Fall and Iceboat.